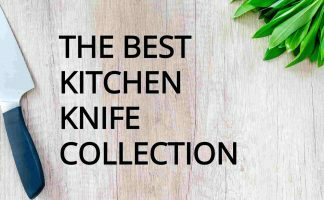 If you are looking to buy kitchen knives and are wanting to know what makes up a good set — you should find this helpful. This is Part 3 of my kitchen knife series (Part 1 reviews ceramic knife sets and Part 2 is about keeping them sharp). What Makes A Good Kitchen Knife Set? In this guide you will find the different knives described and the qualities to look for in a good kitchen knife set. 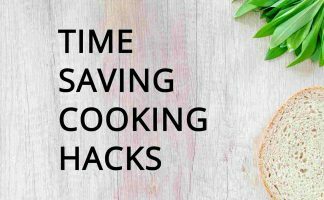 Like any of the best kitchen knife reviews, I recommend you consider your style of cooking and how much you are prepared to spend for the quality and performance you will be satisfied with. You’ll want to consider the design of the knife, and naturally, your budget because you’ll want the best knives for the money, performance, and your style of cooking. For the home kitchen, start with the basics, as a minimum. That you will want something for chopping, slicing, and carving. This infographic shows the different types and their uses. Look for Sharpness That Lasts. This quality will set knives apart. Knives that are sharp make your preparation work easier and those that retain their sharpness for longer will give you more satisfaction. Choose One That’s Well-Balanced. The way the knife feels in your hand affects your enjoyment and the efficiency of using it. A well-balanced knife is best – one with weight evenly distributed. It’ll mean better cutting and less exertion by you. Consider the Feel of the Handle. Rubber or plastic handles are typically molded for ergonomics. They are hygienic but may be slippery when wet and break down with time. Handcrafted wooden handles look stylish and offer better grip making them pleasing to hold. However, watch for grim build-up. You’ll need to keep these out of water and oil from time to time. Overall, you’ll want the handle to feel comfortable and secure when doing its job. Knuckle clearance is important as well, especially with chef’s knives. What Else About Knives to Think About? Know the Function of the Knives. If you are looking for precision slicing for example look for those that stay ultra sharp and lightweight to provide the easy fine-slicing of things like tomatoes or fillets of fish. Compare Prices. Looking for the best ceramic knives for the money? Some good quality kitchen knife sets are available on the market. The sets range in price, from low to high, so there are options for everyone’s budget. What’s a good knife price? You’ll find knife sets under 100 dollars and just over, with affordable ones at around about $10-50. What you choose depends on how much you want to invest and the quality you are prepared to be satisfied with. Think About the Size and the Quantity You Need. 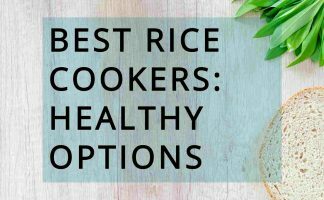 What do you need for everyday cooking? There are various styles, sizes, and the number of pieces in a set. The types of knives you choose will depend on what you mostly prepare. If you only want three useful knives, then these might be it. Chef’s knife – an all-purpose broad and heavy-bladed knife. The top chef knives are curved for rocking on the cutting board and are between 6 and 12-inch in length. This will be something you use every time you cook. Utility – a knife in between a chef and a paring knife in size. Usually between 4.5 and 8 inch in length. Great for folks who feel they want a smaller knife than a chef’s knife but not quite as small as a paring knife. Bread knife – serrated edge for cutting through bread crust without bruising the soft inside part. Also good for slicing tomatoes and lemons or peeling pineapples or melons. Japanese knives are popular right now. The traditional Japanese knives are chisel ground with bevelling on one side. 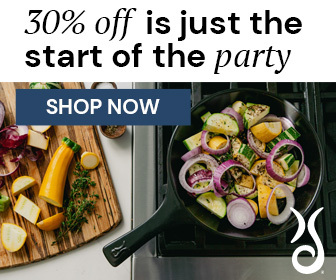 Styles that are available in ceramic include the Gyuto – a chef’s knife for professional Western cuisine, and the Santoku (sahn-toh-koo) – a general purpose kitchen knife that’s flatter than the Gyuto and with a rounded tip. Both are hugely popular. One Japanese style, high-carbon stainless steel knife, the Zelite Infinity 7 inch santoku knife is a popular buy. You might like to check out its reviews and the latest price on the Zelite Santoku Knife here. I recommend you add a ceramic knife to your kitchen knife collection because you’ll benefit in the fine slicing of foods like tomatoes and the perfect dicing of onions. But, remember that steel knives are best for the heavy-duty chopping and prying. Why Is It That Certain Ceramic Pots are Oven Safe and Others are not?